Can you feel the fear and do it anyway? Tricia mentioned that she does not allow fear to get in the way of her going for her dreams. What is it that is standing between you and the life you want to create? I often use the acronym FEAR Forget Everything And Run or Face Everything And Rise. Pema Chodron reminds us that fear is a natural reaction that we are getting closer to our truth. Can you do one action this weekend to move yourself one step further away from the fear and one step closer to being able to live your truth? Tricia talked about the need to feel safe, both in our environment and with the people we are surrounding ourselves with. She believes it is important to surround yourself with people who will lift you up, support you and allow you to feel heard. Often times we spent a lot of time pruning and cultivating our social media following, yet it may have been many years since we have really pruned and cultivated the relationships that we spend the most time with. Take a moment and reflect on the five people who are closest to you. Do they always support you? Do they always have your best interest at heart? Do they lift you up? Do you feel energized when you are around them? What is one thing you could do this weekend to make sure the relationships of the people who are closest to you nurture you, empower you, and allow you to grow into the person you are meant to be. And a deeper reflection are you allowing those closest to you to do the same? Don’t Take Anything Personally. Trisha talked about her ability not to take things personally. In one of my favorite books The Four Agreements one of the agreements is just that – to not to take anything personally. When we are in the present moment we are better able to catch ourselves when we personalize the experience. When we are worrying about the past or feeling anxious about the future it is difficult to separate our perception of the experience from the reality of the situation. This weekend if you find yourself taking things personally can you pause, breathe, and check in to see if you’re in the present moment. Ask yourself what do I know for sure? Then with just the facts you can move forward without dragging the anxiety and worries that appear when we personalize the experience. Tricia shared her tips and strategies to allow us to create the most impact. Her three mega traits that she feels are important are as follows: Observation – observing our surroundings, observing the people in front of us, observing our reactions, I’m observing how we can elevate the situation that we are in. Presence -the gift of our presence, being fully present, as the power of the moment can only happen when we are in the present moment. Honesty-there is a lot of talk these days about being authentic and honest. Yet this can be really challenging especially when the stakes are high. But it is when we are open and honest we will actually draw to us the people that will allow us to be our best selves and do our best work. You have been invited to the party for a reason – trust that. We talk about how challenging it can be when meeting new people. There’re very few people that I know that enjoy having to make small talk, especially when it comes to networking or relationship building. 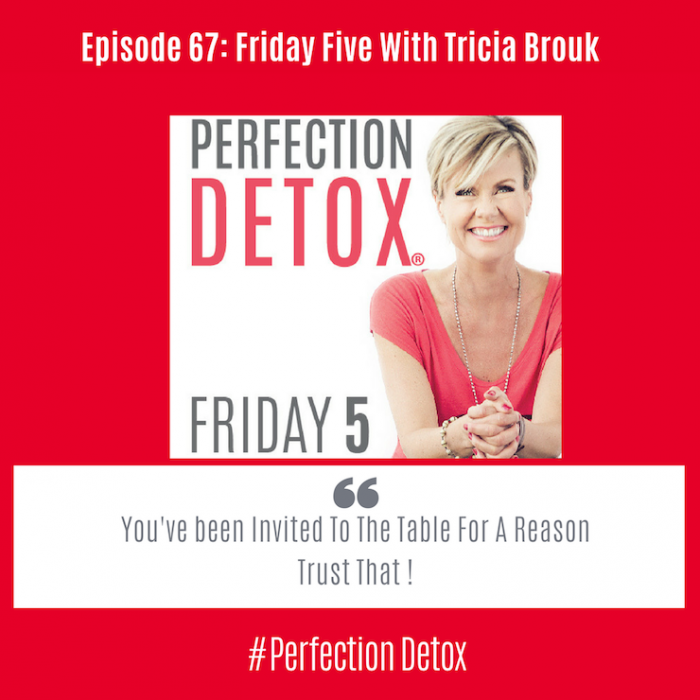 Trisha gives us a few tips that’ll help us be able to bring our best self to every situation, and quite possibly even enjoy it. Know who you are: introvert / extrovert – ambivert. Know where you feel the most comfortable and prepare if you know the situation is one that may create a little anxiety for you. Practice what you are going to say – well at least the opening few lines. While I hate to think of an elevator pitch as being something we bring to a meeting, it can help us prepare as we get settled into the new situation.